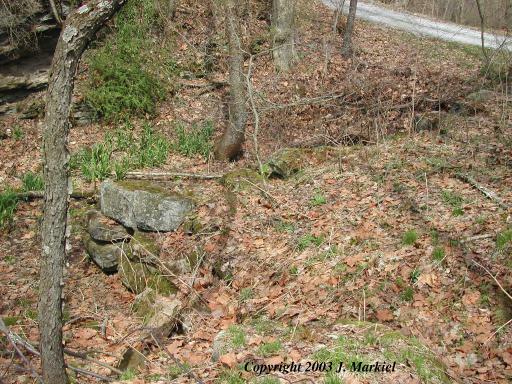 There is little evidence left of Hannah Furnace. The furnace is in ruins and only a few stones from the base remain. The property owner was not aware of any slag piles but indicated that he had occasionaly seen black, glassy looking slag. Hannah Furnace was named for Hannah Lloyd, daughter of the owner. From Ross Furnace, continue 1.1 miles. Take the private road to the left - you will see a white house of the hill just after cross over the bridge. 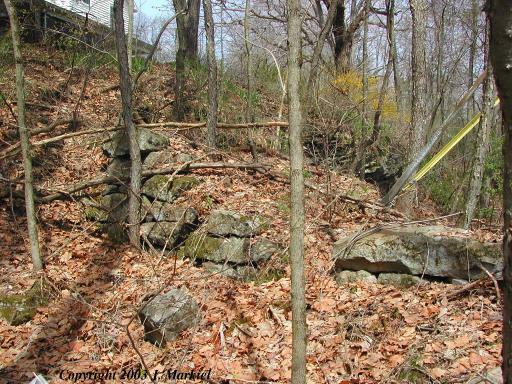 The furnace ruins will be on the left between the road stream and the hill. You will need to obtain permission to access the property.